*giggles* Yes, I’m so freaking mature. 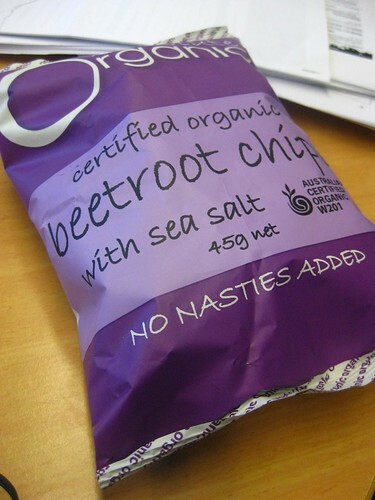 I got beetroot chips to snack on at uni. And you know what? They do WEIRD pink colour things to poo. I googled it, so it must be true. Taste good too! Sweet, and yet salty. Like me! haha oh my – are you serious? I am a massive hyperchondriac, I would have been on google in a flash! Hey, at least it wasn’t pink for reasons unbeknownst to you! OMG! I’m so glad someone else acknowledged this! A few months ago I discovered a bunch of beetroot languishing in my fridge and ate the entire lot in one weekend. I SWEAR TO GOD, I THOUGHT I WAS DYING. The colour lasted for over a week. Honestly. Dying. Thought. It’s nice to know we’re not alone! Try feeding beetroot soup to a baby….!!! BTW I love beetroot chips. I’m gonna look those up. That sounds messy from all directions! Pinkish tinge? The first time this happened to me it was bright beetroot red! We’d grown beetroot in our garden so it’s probably the first time I had that much available all at once. That was early enough in my relationship with Boyd that I wasn’t sure if it was something we could talk about. But it was so weird I had to bring it up and I was so relieved when he just said “yeah, it’s the beetroot” because yay not dying and also yay non-squeamish boyfriend. It grows really well by the way. Shove it in a deepish pot with some cheap potting mix and yummy beetroot sandwiches in summer. you know I hadn’t even thought of growing beetroot! 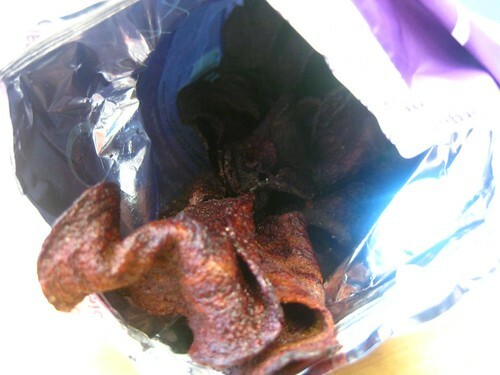 I guess there’s not all that much beetroot in a little pack of chips? Root vegetables can be a pain to grow because you need to prepare the soil really well so there’s no clumps and stuff. But throwing them into a pot solves that problem (we use cheap plastic basins from a plastic shop with some holes stabbed in). Radishes are also awesome and grow really fast. Carrots are kind of meh in my experience.